A new year, a fresh start. So many of us use the new year as motivation to fine tune or evolve the way we take care of ourselves. We resolve to eat better, exercise regularly, get to bed earlier and much more. I find that the best way make healthy changes that stick is to integrate small things that you can easily do each day. This is how we can make a mountain out of a mole hill, but in a good way. Small changes can create a footing so we can keep climbing towards optimal health. Here are some of the little things that can help you keep your footing and stick to your health goals. 1) Drink Water - Replace as many beverages that you can with pure water or herbal tea. Adequate hydration with pure fluids (i.e. water) helps with energy, skin integrity, mood, joint health, proper digestion and good metabolic function. 2) Pre-package your food - Consider pre-packaging your smoothie ingredients in zip-lock bags or containers and store 1-2 weeks worth in the freezer. This makes getting a breakfast or snack smoothie quick and easy, and it guarantees you're getting a good dose of plant food that day. Dr. Laura's Packaged Smoothie: 1 banana, 1 handful of frozen berries, 2 tbsp hemp seeds, 2 tbsp chia seeds, 1 tbsp coconut oil, 1 handful greens/veg (e.g. kale, spinach, swiss chard, collard greens, shredded carrots, etc., or a combination). Also consider taking an hour on a day off to do a big cookout for the week's lunches. Again, use containers, cook up 2-3 veggies and 2 types of protein sources. 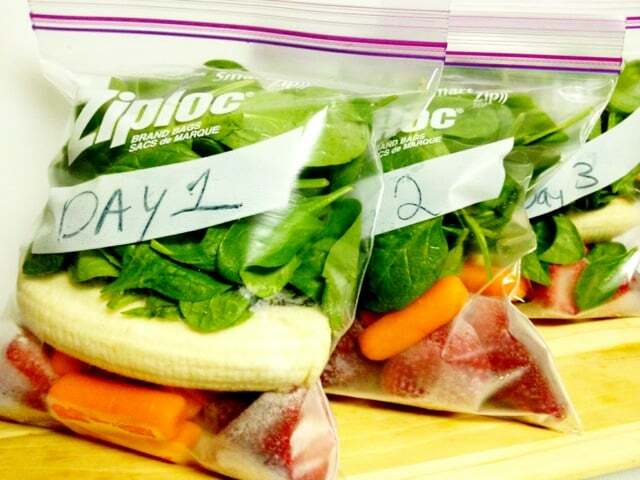 Then package these in a container for each day of the week. This ensures you get a healthy lunch and saves time. 3) Create some downtime OR Teach yourself how to have downtime - Whether it's the go-go-go pace of the day or need to be "doing" something, this state of restlessness is causing stress to be an obstacle in reaching health goals. Productivity is important. However, to be truly productive there must be a balance between "doing" and downtime. Your body will thank you, your memory will be sharper and you will be happier. Carve out some time regularly to practice something that restores, recharges and replenishes. This can be reading a book, being creative (e.g. music, artwork, colouring, dancing), knitting, meditation, prayer, an epsom salt bath, a massage, yoga, time with a pet, time with children, time outdoors, time in nature... the list of possibilities are endless. These are just a few small things to help you stick to your health goals. Working with people on this journey towards optimal health is my passion. If you would like to take a more proactive health care and utilize preventative medicine, together we can develop a plan that will help you optimize your health and reach your goals.